Nowadays, it can feel incredibly difficult to get a good deal on a vehicle. However, if you know where to look and what kind of vehicles to look for, it’s actually a lot easier than you might expect! For example, have you ever considered the prospect of buying a salvage car? If you haven’t, then you really should. More so than any other kind of vehicle, it’s possible to pay literal pennies on the dollar for such a vehicle. And these aren’t just ‘totaled’ vehicles, mind you. These are cars that run the gamut in terms of quality, not to mention makes, models and model years. If you want to know why you should buy salvage cars online, then read on. We’re going to explain the benefits of salvage car ownership, and just how you can get your hands on one! 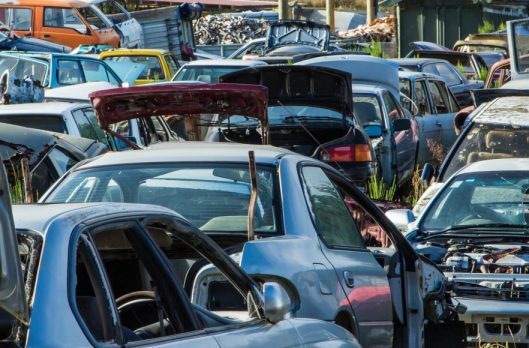 To understand the benefits of salvage cars, you first need to understand what they are. Simply put, a salvage car is one that’s had its insurance policy paid out by an insurer at 75% or greater of the vehicle’s value. When this happens, the insurance company takes possession of the vehicle, and it is issued a salvage title by the relevant authority. Now, what would cause an insurance company to do this? As it turns out, a number of different things! Naturally, one reason that a car may be designated as salvage has to do with serious collisions and other accidents. When an insurer assesses that the cost to repair a vehicle is greater than the vehicle’s worth, the policy is paid out. But, this isn’t as cut and dry as it might appear. For one, an insurer may simply ‘total’ a vehicle to expedite a claim, not because the cost of repairs is actually greater than the value of the vehicle. In addition, there are instances, such as vehicle theft, where an insurer will pay out a policy even if no damage has occurred. So, why would you want to buy a salvage car? Well, there’s one benefit that trumps all others: the cost. Because a salvage car can never be shed of its designation, it will always have a much lower resale value than an ordinary used vehicle. Because of this, these vehicles can be snatched up at auctions for incredibly low prices. When you purchase a salvage vehicle in good condition – say a theft recovery vehicle – the benefits of this are obvious. When you buy salvage cars that are damaged, there are still benefits too, though! If you can make repairs yourself, or else know an affordable and reliable mechanic, the cost of the vehicle will still end up being significantly lower than if you had bought new! In order to understand why you should buy salvage cars online, you need to see what’s out there. To do this, simply sign up for an online dealer auto auction website and see what’s out there. When you see the kinds of salvage cars you can purchase and the prices that they sell for, you won’t be able to resist!